21:00 pm Pick up in the early morning from your Sharm el Sheikh hotel. Transfer to Luxor train station to catch sleeping train to Cairo. 03:00 am Meet our guide at Giza train station. Transfer back to Sharm el Sheikh by a public bus. Pick up from bus station and transfer to your hotel. 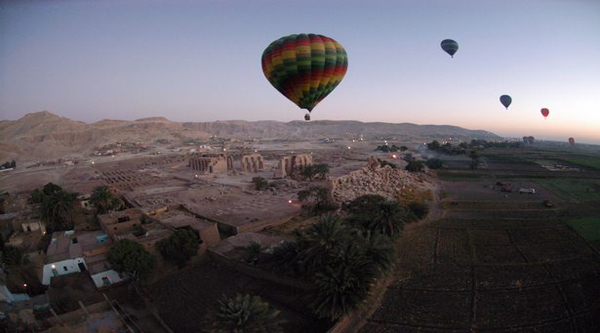 Transfers by air conditioned car in Sharm el Sheikh, Luxor & Cairo. 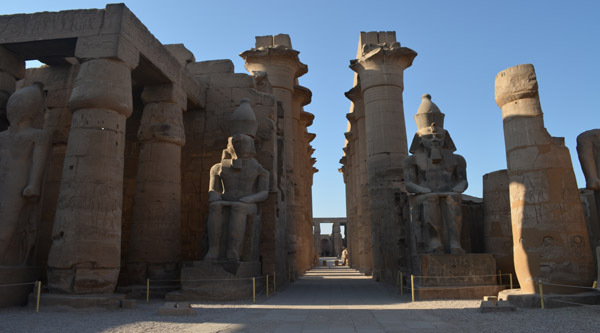 Queen Hatshepsut temple, Memnon Colossi and Karnak temples entrance fees. Entrance fees to the National Egyptian museum, Pyramids area and Sphinx. Overnight sleeping train tickets in dbl cabin. We do pick up from any hotel in Sharm el Sheikh. Pick up from your hotel in Sharm el Sheikh, transfer by a/c van to Sharm el Sheikh International Airport and fly to Luxor. The flight will take just 50 minutes. Our English speaking guide will be waiting for you outside the arrival hall of Luxor airport with the sign "sharm-club.com". Start your day with the west Thebes visit. 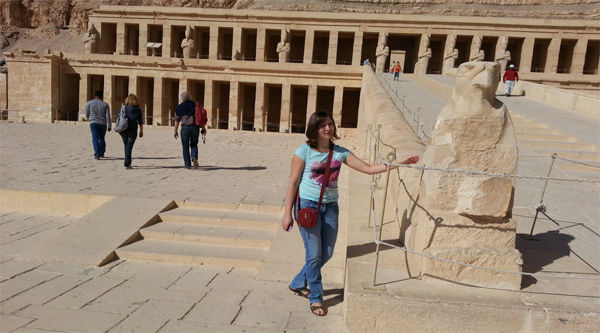 Valley of the Kings visit includes entrance to 2 different tombs, so you can get an idea about pharaonic funerary art. 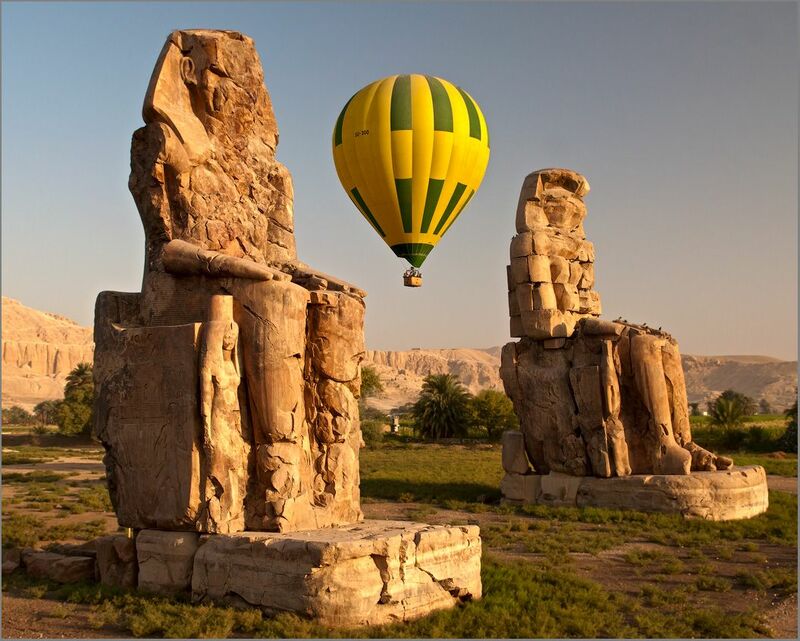 Memnon colossal statues & Queen Hatshepsut Temple (Deir El Bahari temple) will be visited as well. The West Bank of Luxor is known as the city of dead. It is the funerary complex of the ancient Egyptians. Here you have the opportunity to let go off anything that has died and no longer serves you using the power of the god Anubis, jackal headed god of the underworld. Explore the cycles of birth, death and rebirth which are rooted in Ancient Egyptian mythology. The Valley of the Kings is the ancient cemetery of the pharaohs of the New Kingdom and is hidden in the mountains on the West Bank of Luxor , between the two limestone hills of Gurna. It was named by Francois Champollion as Valley of the Kings . All of the tombs were robbed in antiquity, except for the tomb of the boy king, Tutankhamun which was found completely intact in 1922 by Howard Carter. The Valley of the Kings holds 63 registered tombs and recently 2 more tombs have been found. Your visit includes entry into 3 tombs, however if you wish to see either the tomb of Tutankhamun or Ramses 6, there is an additional ticket cost. Deir el Bahari temple is a mortuary temple of Queen Hatshepsut with a unique design as it is the only temple in Egypt built in terrace formation into the cliff face. Hatsheptsut was a famous female pharaoh who wore a false beard and all the trappings of the male pharaohs in order to claim the throne for herself. There are chapels dedicated to Hathor the goddess of motherhood, joy, love, peace, happiness and music, and chapels dedicated to Anubis, the god of mummification and death, and Amun-Ra the king of the gods. On the temple walls are reliefs showing the first commercial trading expedition to Somalia (ancient land of Punt). Have lunch in a local restaurant in Luxor and rest for one hour. Nile feluca ride to Banana island is available as an optional activity. Let's discover a vast collection of banana plants, enjoy sailing along the Nile and observe a beautiful Upper Egyptian countryside and its islands. At the end of the day we will drive you to Luxor train station to catch you night train to Cairo.Upon arrival in Cairo our rep will meet you in Giza train station and drive you to the National Egyptian museum to join our group. Lunch will be offered in a local restaurant. Vegetarian options are also available. At the end of the program we will start our way back to Sharm el Sheikh by a coach. The journey back may take up to 8 hours. Our rep will meet you in Sharm el Sheikh upon arrival and drive back to your hotel. The trip includes flight from Sharm El Sheikh to Luxor an overnight sleeper train to Cairo and bus trip back to Sharm. The trip was excellent from start to finish. In fact throughout the whole excursion the reps and drivers really couldn't do enough to make sure that we were happy. In Luxor they arranged for us (at an extra cost but very cheap) to spend the evening before setting off on the overnight train in fantastic hotel where we could rest and get showered. The tour guide was name John and I can't praise him enough. His English was excellent (he was a former English teacher) and his passion for Egyptology was second to none. We were in a small group of 5 and were made to feel very special and John made sure that he paid attention to our needs - making sure we had plenty of shade, water, etc. 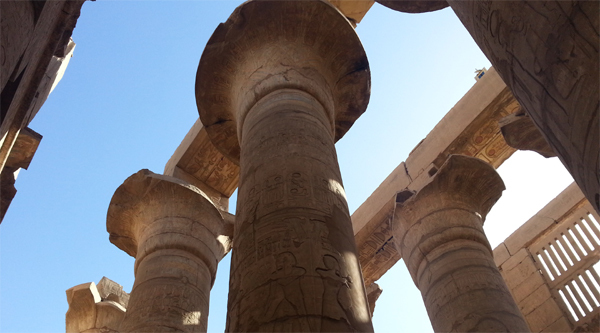 Luxor was amazing and we couldn't help but be inspired by John's enthusiasm. In the evening both John and the driver returned to make sure that we got onto the train safely. The train itself was fantastic (don't expect 5* standards as you'll be greatly disappointed but that's not why you would do the overnight train anyway). We slept like logs and the train inspector looked after us well and woke us up with breakfast and made sure that we got off the train at the correct stop. In Cairo we were met by Sharif, another enthusiastic and very comical tour guide. Sharif again was well versed in the history of Cairo, the Pyramids and the Sphinx. The day again was fantastic and Sharif made sure that he looked after us well.